Leigh Blanchard: "And Now I See"
440 Gallery is pleased to present And Now I See, a solo exhibition of digital images by Leigh Blanchard. This is Blanchard’s first solo show at the gallery and is a showcase of work that she has been developing since early 2017. Blanchard has always been interested in nontraditional sources of visual inspiration and pattern creation. And Now I See is an exploration into alternative ways of creating digital imagery, specifically by examining technological flaws. The technology that fascinates Blanchard is advanced to the point where artificial systems can recognize and generate visual motifs, but because the tools are still in development, the end results are often distorted. Blanchard is intrigued by catching these imperfections— whether rendered organically or produced through her own manipulation of the process. 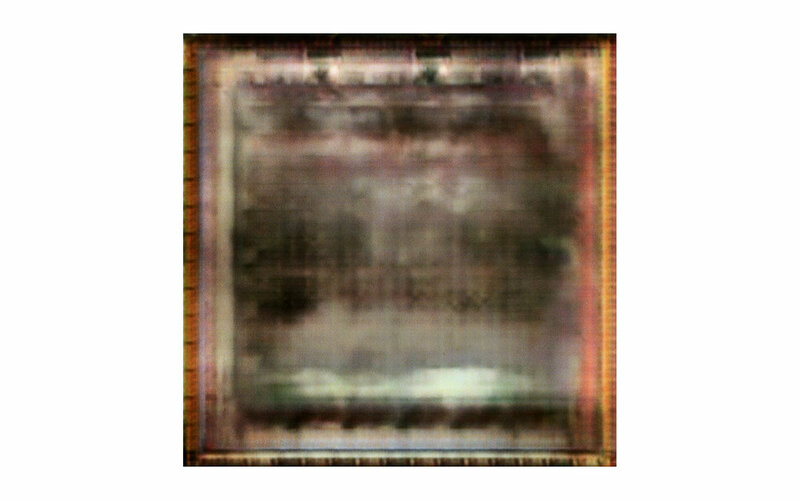 Using a variety of online artificial intelligence systems that have been fed thousands of images, the artist pushes the technology’s abilities in image-to-image translation in order to make a completely new image. The goal of these tools is to be able to generate an output image, using an archive of images and an input image. These tools can be used for tasks such as coloring images that previously were without color or transforming a landscape photo that was taken in the day to one that looks like it was taken at night. Instead, Blanchard purposely plays with the input image to produce unexpected results that the software has trouble creating. A graduate of Parsons School of Design/The New School, Blanchard currently lives and works in New York City. Her latest exhibitions include Abstraction at Large (2018) juried by Eleanor Heartney at Site:Brooklyn, and Rendering Likeness (2018) at La Bodega Gallery in Brooklyn, NY. Her work has been selected for display in the newly renovated Talbott Hotel in Chicago, IL. Alluding to ideas of freedom, growth and spirit, mixed-media artist Karen Gibbons finds beauty in what has been discarded or overlooked. 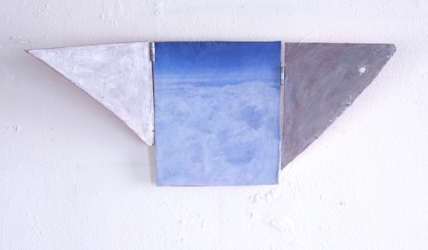 In her new work, she creates wall reliefs out of raw, found materials. Images, colors and textures are layered on surfaces with collage, acrylic, pastel and oil stick. Gibbons’s process—an ongoing theme in her work—is to fine-tune elements so that they sing out in harmony. 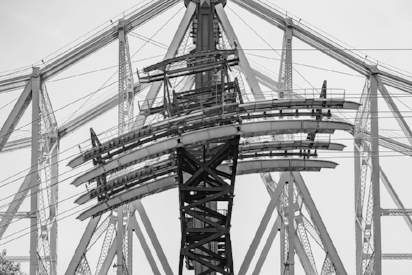 Photographer David Stock is showing new photographs from “Metropolis,” his ongoing series that was featured in a solo exhibition at the gallery last year. They continue his exploration of the graphic qualities of the NYC cityscape. Stock’s formal black and white studies of the city's imposing architecture and infrastructure, including its unintended visual puns, are displayed as pristine prints, made with pigmented inks on fine-art watercolor paper. Objects familiar, objects recalled: for Tricia Townes, the specific items she uses to populate her paintings are about memory captured, made concrete and less fleeting. “End of the Reign” is initially an interpretation of the last days of the monarch butterfly. Townes takes it further and relays her strong feelings about the environment, one that is decimated by pesticides and GMOs. In “Elmyra” Townes casts herself as a young girl she knew who obsesses over her beloved animals, much like the eponymous cartoon character, Elmyra Duff, whom Tricia was enamored of. 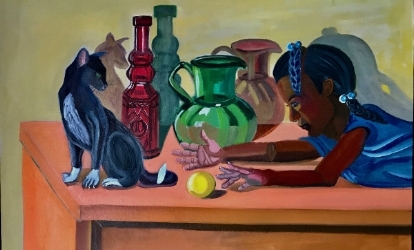 In each painting, Tricia’s family life is revisited through a cherished object or two that belonged to her grandmother.